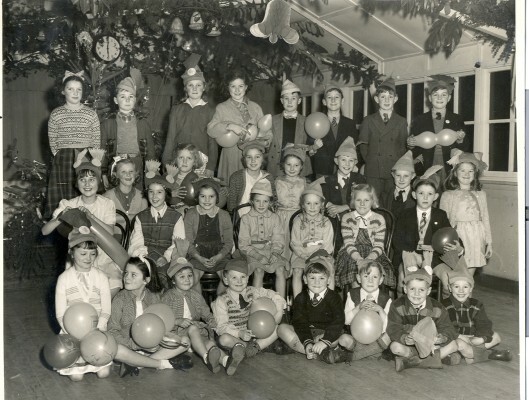 Christmas party held in the early 50’s in the Wormley/Broxbourne/Hoddesdon area. No other information available, were you there? This page was added on 20/05/2010. is Broxlea Products Christmas party. I am sitting third in second row from bottom and my nephew Tony Rowley is back row forth from right. I have this and other Broxlea party pictures. The two girls dresses alike were relations of Joyce Pullen. The partys were held every year at the Tudor Hall Conduit Lane. My Neice Linda Fawcett can confirm this picture for me. This is Broxlea Products Christmas party. I know because myself and my nephew Tony Rowley are in it. I amsecond row from the bottom third right and Tony is top row 4th right. The two girls dreesed the same were relations of Joyce Pullen I believe. I used to go to these parties evry year and they were held at the Tudor Hall in Conduit Lane.. I have this and other Broxlea party pictures myself. I was Pat Humphreys then. As my sister Vi, Jennifer Dent, myself and the 2 girls dressed the same (I am assuming these are the Turvey twins), are the only ones I recognise. I cannot put a name to the other faces, some of the children look older than junior school age. I believe this photo is of children attending Wormley Primary School Christmas Party c1951 as I recognise two children who lived next door to me at that time Barry and Susan Chapman. They moved to Felixstowe in March 1952. My mother was the school Secretary during the 1950’s her name was Mrs Irene Salter.